Both Peppermill restaurants in Silicon Valley are now gone. No more bar-with-fire-pit, Vegas-style cocktail waitresses dresses, strange giant-crystal sugar, enormous onion rings. Air America Radio, the new liberal talk radio network, starts broadcasting today at 9:00 AM Pacific Time. The first show is Al Franken's "The O'Franken Factor". You can listen on AM radio in various cities, on XM satellite radio, or via streaming here. UPDATE 8:50 AM: The Air America site is inaccessible. I'm getting a stream here. I am a latecomer to The Daily Show, having managed to not watch it until earlier this year. 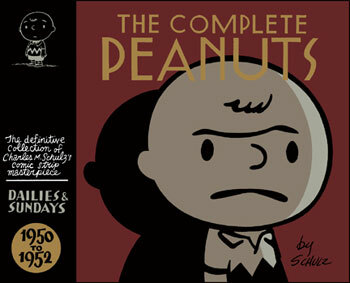 Now it's far and away my favorite show. Last night Jon Stewart and crew managed to absolutely nail what's going on with National Security Advisor Condoleezza Rice. Dr. Rice (speaking on "60 Minutes"): It is a longstanding principle that sitting National Security Advisors do not testify before the Congress. Stewart (as if he were Rice, continuing to speak): You see, here, with you, I can lie. But those people want you to put your hand on a bible and swear to all kinds of crazy stuff. And that, that is not going to help us fight Al Qaeda! Opening Day used to be one of the coolest things about baseball. Every April, on a lovely Monday, the season started for real with a game in Cincinnati, birthplace of professional ball. There was a parade to celebrate before the game. Later that day and the days that followed, one by one, each team would play its home opener, as spring and hope arrived. Then, a few years ago, Major League Baseball and ESPN conspired to move the first game to Sunday night so that it could be televised at a more convenient time. So while two teams played a real game, all the others were finishing their exhibitions. Bleah. This year is the worst abomination yet. In the name of promotion, Opening Day will take place in Tokyo, where the Yankees will play some team called Tampa (another baseball abomination). The game takes place in the middle of the night in the U.S (tonight/tomorrow morning, I think). It's going to happen 5 days before anybody else plays a real game, while the other teams are still playing exhibition games. ESPN cares so little about the game that although they're televising it, they're not even sending announcers: the crew will watch from the studio while broadcasting. Weird. Bizarre. Stupid. Way to go, Major League Baseball! If you're really into blogs, you probably read Robert Scoble's. Robert is a technical evangelist at Microsoft, and one of his chief tools is his widely-read blog, where he gets to express his personal feelings about stuff going on at his company. When I worked at MSFT in the Mac group starting in 1996, part of my job was to point out that the company had hired a bunch of long-time Mac folks and was doing excellent Mac software. I wish there had been blogs then -- a blog would have been an incredible tool for getting the word out. There are dozens of Microsoft employees blogging: see an official list here and an unofficial collection here. Apple employees blog, too, but more discreetly, and never about work. I think that fits with Apple's strategy of controlling its news and public relations. 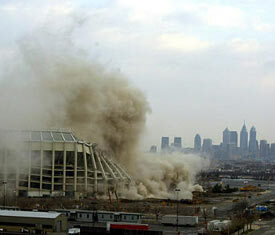 Veterans Stadium in Philadelphia was imploded on Sunday morning as scheduled. For an incredible video of the slow-motion collapse of the old place, go here and click "Watch the implosion". There are several views, including a camera apparently located on the field. Lots more about the Vet's history and the implosion here. And don't miss ImplosionWorld.com, "where demolition comes alive". Presidential candidates have to report campaign contributions, and this site has used the power of the web to collect up this information and sort it by name and address. Type in your address and find out who your neighbors are contributing to. Kinda neat, kinda creepy. 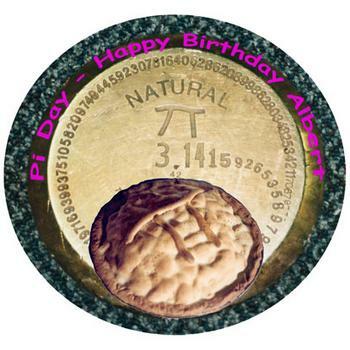 Did you know that March 14th was National Pi Day? What a wonderful geeky holiday. It's also Albert Einstein's birthday, so, bonus! Read more about it here. And check out news reports of Pi Day celebrations.